Imagine how JayJay must have been feeling after spending 500 days at a shelter. 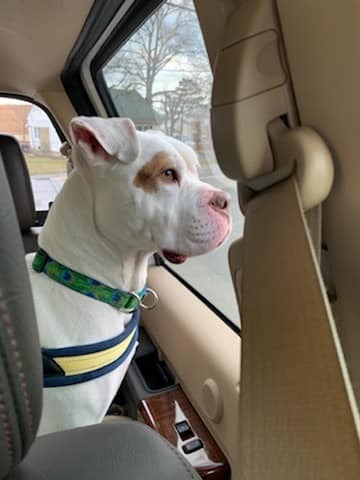 The five-year-old American Bull dog mix had been calling the Town of Hempstead Animal Shelter home, but he wanted a real home, and with the help of friends, neighbors and the powers of social media, JayJay dreams have come true. Luck didn’t seem to be going his way. 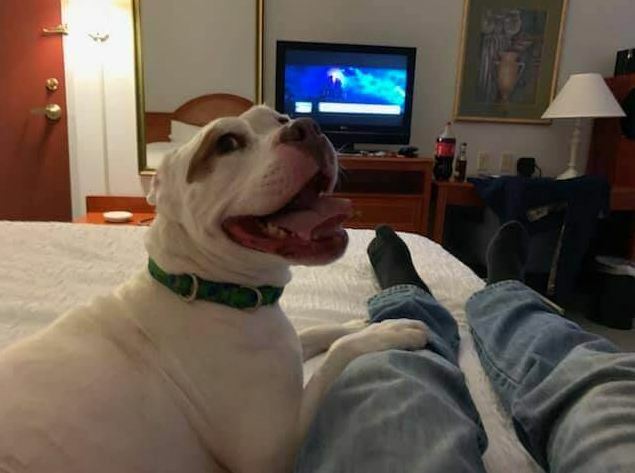 This is how JayJay feels after 500 days living in the shelter. 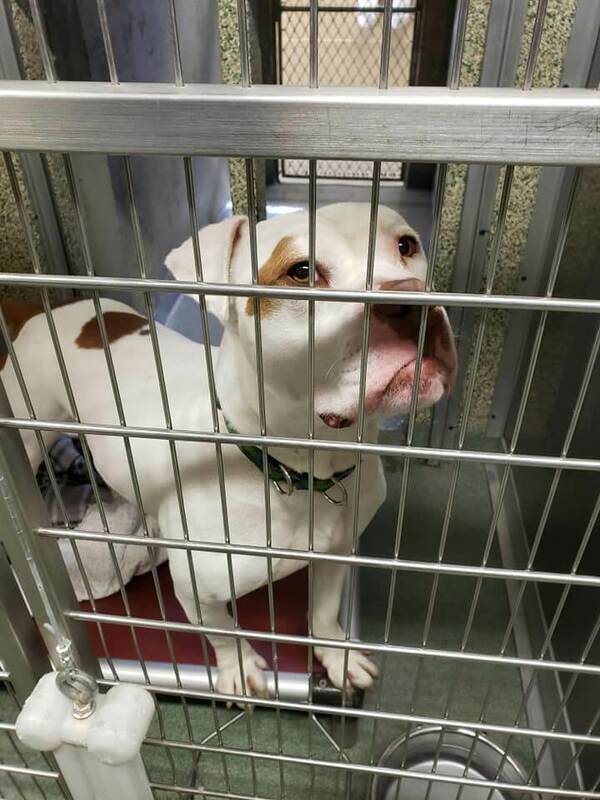 All bulldog lovers-please consider adopting JayJay and being his person. On Saturday the heartwarming news was posted on the group’s Facebook page. And JayJay has left the building! The most amazing part for me was after 1.5 years of knowing JayJay, today was the first day he ever rolled on his back and gave me his belly. It was a beautiful moment of silence and I soaked it up. I believe that was his way of saying goodbye and thank you. Goodbye my dear and special friend! I hate to see you go but I really love to watch you leave! 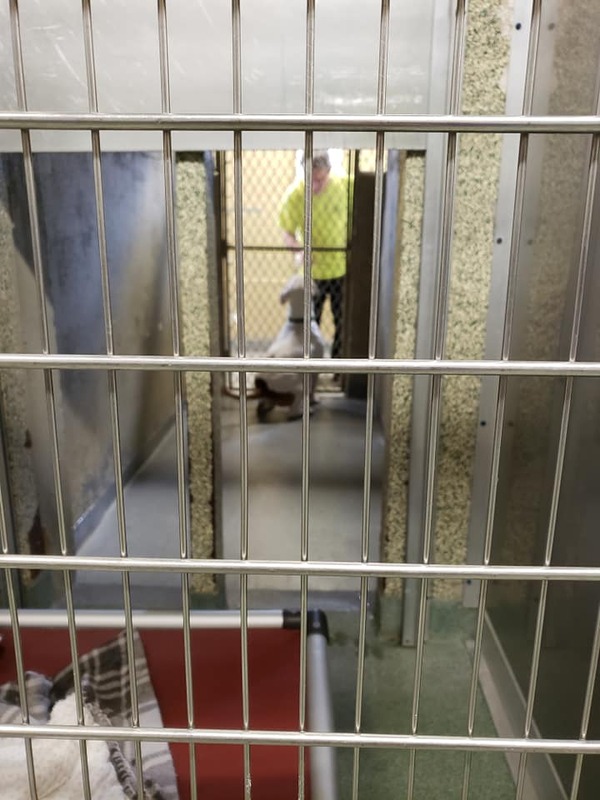 See photos for the course of events from today and watch how a shelter dog living behind bars for 1.5 years and over 500 days gets to leave the shelter with his new dad! And who made JayJay dream come true? 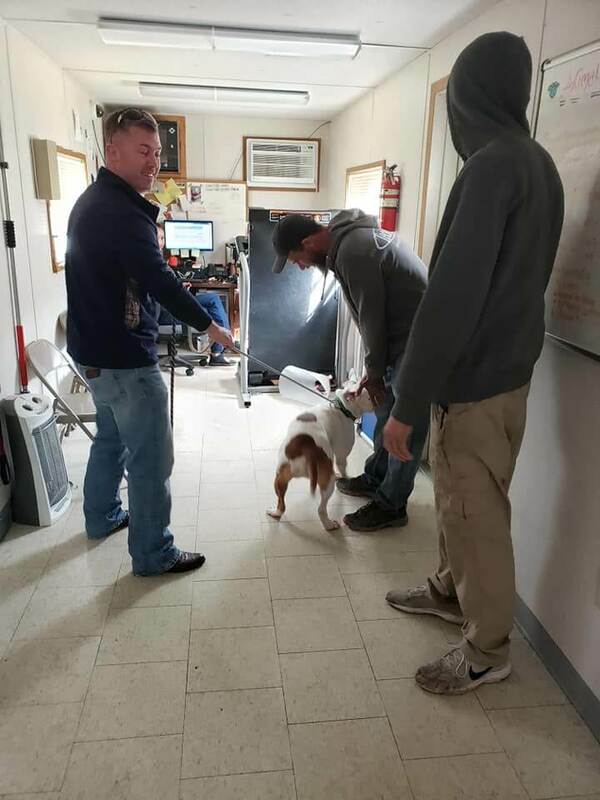 Many thanks to Caleb Bouge who tuned into social media and drove five hours from Maryland to meet the dog and to “take him home” calling it the “power of dog lovers and social media” as real and strong. Thank you for your service Caleb, and thank you for adopting JayJay. Have a happy Sunday everyone. 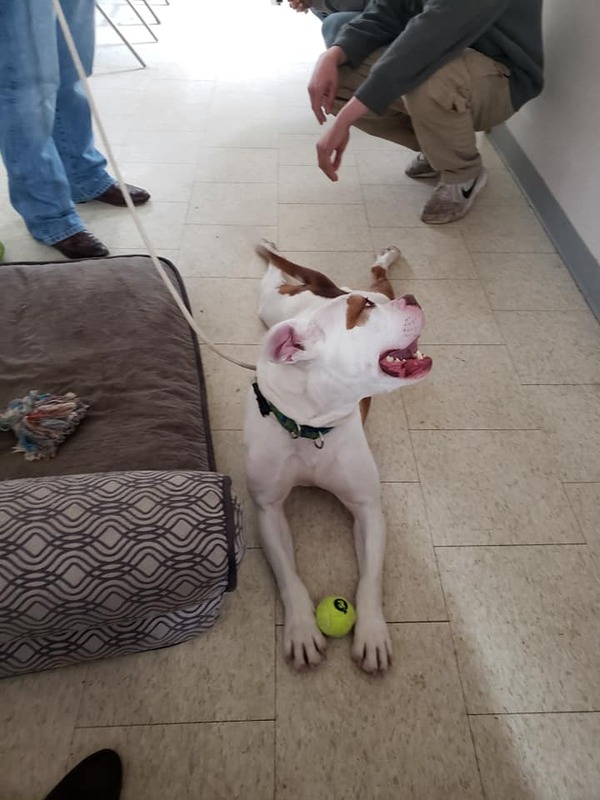 Pet Rescue Report loves sending out good news. WARNING: The photos will just make you smile and smile and smile!